Gears of War's success was built on broken promises and the neglected developers who helped fund the creation of that game, a 2007 suit from the developer of the disappointing Too Human alleges. 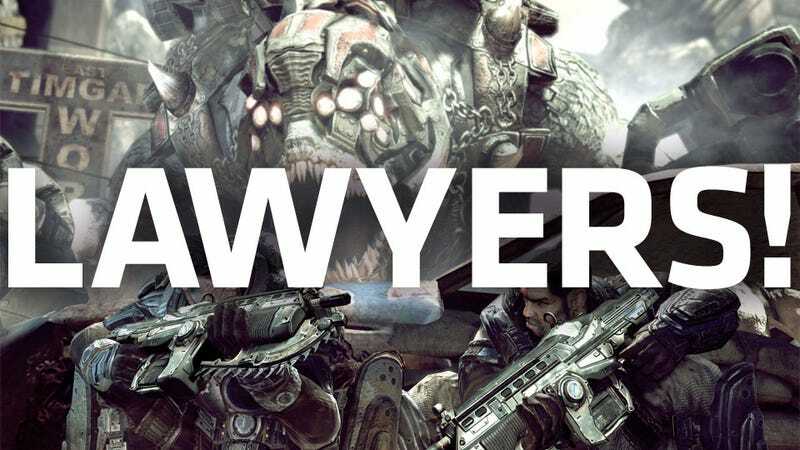 According to documents obtained by Kotaku, that long-simmering legal feud between game maker Silicon Knights and Gears of War developer Epic Games may be reaching its boiling point—and a court room. New developments in the nearly four-year-old lawsuit that alleged the Unreal Engine maker caused damage to Xbox 360 game Too Human and to developers throughout the industry now pave the way for that suit to go before a jury. In 2007, Silicon Knights sued Epic Games for failure to "provide a working game engine" for Too Human, causing the Ontario based game developer to "experience considerable losses." Silicon Knights' suit alleged that Epic was "sabotaging" Unreal Engine 3 licensees, withholding an improved version of that game engine while also using licensing fees to fund development of Gears of War, not to improve the Unreal Engine. In short, Silicon Knights said it didn't get what it was promised by Epic and it wants a cut of those Gears of War profits as compensation. Silicon Knights calls a recent ruling in its case a "victory in their litigation against Epic." That's because a federal court has agreed with Silicon Knights that it can go before a jury with its allegations of fraud, negligent misrepresentation, unfair competition, breach of contract, and breach of warranty against the Unreal Engine maker. The Too Human developer may also have an ally in Disney, which Silicon Knights says had "almost identical claims" against Epic in 2006. It cites a letter from Buena Vista Games in its claim, which the court says "demonstrated that other [Unreal Engine] licensees expressed many of the very same frustrations that [Silicon Knights] did about representations made by Epic that were unfulfilled and perceived to be misleading." evidence regarding the basic nature of the parties' businesses and the relationship between them establishes that Epic had a possible motive to deceive SK into entering into the License Agreement in order to fund the development costs of its own games and delay the work of SK and other competing licensees on their video games. There is also Epic's admission in its counterclaim that it developed the [Unreal Engine 3] in conjunction with the development of its own game as part of its ‘synergistic model' and not separately as it had led SK to believe." Epic's witnesses confirmed that at the time the License Agreement was in place, it never had any employees dedicated solely to servicing licensees and that, instead, every programmer on the engine team also had licensee support as a job function. (Timothy Sweeney Dep. (D.E. 561-12) 49: 16-51 :12). This is, of course, in contrast to the alleged representations by Epic that its programmers would be divided between those dedicated to engine development and support, and those dedicated to development of Epic's own games. Indeed, SK cites to internal emails from Epic's officers instructing programmers that ‘Gears [of War] comes first, so if you have any Gears tasks, drop work in the main branch and finish Gears tasks' (Email communication from Daniel Vogel (D.E. 559-8)) and that ‘Right now, we are very much in 'will this help Gears ship faster? If not, punt' mode.' (Email communication from Michael Capps (D.E. 560-7)). Despite those supposed victories for Silicon Knights, the court recently sided with Epic in dismissing a number of Silicon Knights' claims. The court said "genuine issues of material fact exist" in SK's claims of intentional interference, unjust enrichment and more. Epic Games has not yet responded to request for comment on the matter, but Silicon Knights offered the following statement. "When Epic first went public about our case to the press, they said that our claims were without merit," said Silicon Knights president Denis Dyack in a statement. "Two separate federal court judges have now disagreed with Epic, and have ruled that the case does have merit." "Silicon Knights has always wanted to have our focus be on making great games, not litigation. This ruling will allow us to have our day in court, before a jury, and to shine the light publicly on Epic's conduct," Dyack continued. "We are very confident the jury will see the truth behind Epic's actions." On March 24, 2011, the federal court in the lawsuit between Silicon Knights and Epic Games completed its ruling on the parties' summary judgment motions to dismiss each other's claims without a trial. The court entered judgment in favor of Epic on several claims, rejecting Silicon Knights' claims that it could cancel its license agreement, that Epic interfered with its contractual relationships with publishers, and that Epic has acted unjustly under the license. The court did not rule on the merits of Silicon Knights' remaining claims. The court was not permitted to judge the credibility of witnesses or evidence, or otherwise take into account Epic's opposing evidence, and therefore merely acknowledged that, under the rules of civil procedure, it had to allow a jury to consider both sides' evidence on the remaining claims. In addition, the court had previously rejected Silicon Knights' motion to summarily dismiss Epic's claims against it and upheld Epic's right to present all of its claims to a jury, including claims that Silicon Knights breached its license agreement, stole Epic's technology and infringed Epic's copyrights.